Learning through faith-based curriculum has always been important to me. When I’m homeschool curriculum shopping that is the main criteria I look for. Does it Align with the Bible? I received this product free and was compensated for my time for writing this review. All thoughts are my own. Read my full disclosure. I am raising God’s kids and I feel it is important to immerse them in faith-based studies! Whether it be through the books we read aloud, the literature program they are working through or the science projects they are doing. My main goal as a homeschooling parent is to give them a strong Biblical worldview and deep faith foundation. That is why I really like Kendall Hunt Pathways 2.0. 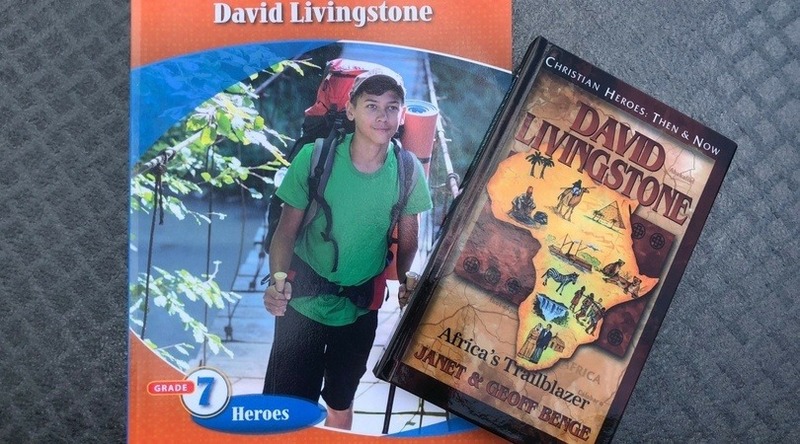 I recently had a chance to try out their 7th Grade – Christian Heroes: Then & Now, David Livingstone Unit. It is full of Christian, Missionary and Biblical Heroes which really revs up the character training to a whole new level. 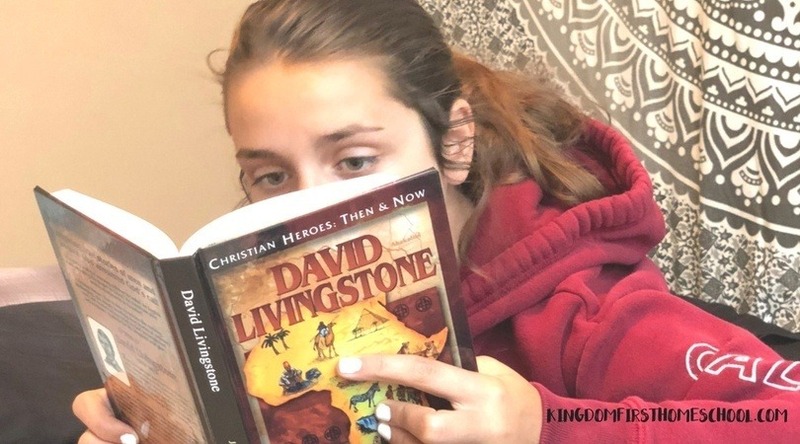 David Livingstone’s captivating adventures continue to inspire countless men and women to bring the gospel message of God’s love to those souls who have never heard it. With the heart of an explorer and the passion of an evangelist, David Livingstone mapped vast unexplored areas of Africa, sharing the gospel with whomever he encountered. His stamina, perseverance, and dogged determination created the legacy of a trailblazing explorer with an undying hunger to make Christ known wherever his steps led him. This curriculum features faith-based reading through great Anchor Texts and paired texts correlating with the theme of each unit. The Heroes unit theme asks students to focus on the Essential Question, “What can we learn from heroes that will enable us to be heroes for God?” Through the reading of and reflection on the texts in this unit, students explore answers to this question and develop their own personal, faith-based perspectives on what it means to be a hero. I love curriculum that incorporates Christian Values and a Biblical or Missional aspect. I also really, truly enjoyed that it covered so many subjects – spelling, reading, writing, vocab and more. It is a very comprehensive program and really doesn’t take that long to work through. Everything is planned for you! Nothing says “WIN” to a homeschool mom than to have the lesson plan already completed for you. Also, the Teacher Daily Lesson Guide was very well put together with a lot of extras. You can work through it all or just pick what your child is interested in. I have really enjoyed reading and learning about the exciting adventures of David Livingstone. I’m sure my daughter will too lol! Hopefully, this will spark an interest in her to read further books in this genre. 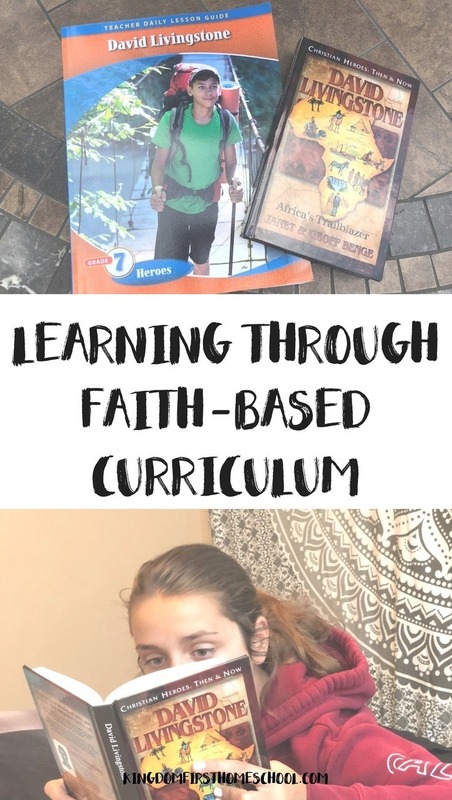 For more information on this faith-based curriculum visit Kendall Hunt Pathways 2.0 , check out the Brochure, and follow them on Facebook & Twitter! See all my Homeschool Reviews. Thanks for sharing. I’m gonna look into those books and see if there is anything I can incorporate to my daycare center. God bless!